Observation - Camoflage - UK and Ireland. 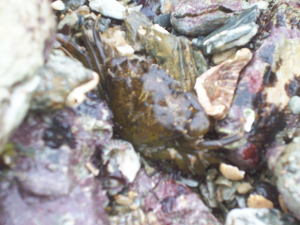 Description: A crab using camoflage against pebbles in a rock pool. From a distance very difficult to see. A crab using camoflage against pebbles in a rock pool. From a distance very difficult to see.